We sadly heard of the death of Freddie Cooper many months after the event. He had been a regular at the Dinner for many years with a group of his contemporaries. "Thank you for sending the latest edition of the Old Bordenian Website Digest. My mother forwarded the digest to me today and remarked how much Freddie enjoyed receiving and reading the various articles. My father Freddie Cooper, d.o.b 13 February 1923, died peacefully on 7th July 2016. Freddie was at Borden GS from 1934 to 1941 and continued to attend the annual old boys' dinner until the age of 84 years old. He always spoke with great affection for the school and appreciated the excellent education and start in life provided by Borden. Freddie joined the RAF in 1941 and gained his wings in 1942 and was fortunate enough to continue flying with the RAF until the early 1960's, retiring as a Squadron Leader in 1966." The 2017 Dinner saw 59 of us enjoy a convivial evening and excellent meal at the UK Paper Clubhouse, Sittingbourne. The guest speaker was Phil Bromwich, a regular at the Dinner and a school governor for 25 years during five of which he was the chairman. Richard Evans has sent in the names of those in the School Photograph for 1956/57. I have added these as a comment to the original article: BGS School Photograph - 1956-57. Old Bordenian Norman Wigg (BGS 1943 - 1948) has sent me a number of articles recalling stages of his life, including his experiences of the Battle of Britain whilst living in Teynham and his days at Borden Grammar School. I will add these over the coming weeks, but will start with his recollections of the Battle of Britain. Whilst Norman was too young to be at BGS at the time, I think this will be of interest to many visitors to this site. Doctor Andrew Edney was a veterinary surgeon for some 50 years. After attending Borden Grammar School from 1943 to 1950, he attended art school before eventually graduating from the Royal Veterinary College at the University of London. Post-graduate studies led to a Doctorate in Veterinary Medicine and a Masters degree in History. He worked as a freelance writer and editor and wrote a number of books relating to animals. 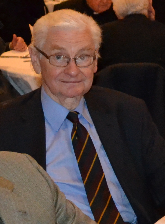 His book “And While You’re Here – Episodes in a Vets life” covered his early life as an evacuee during World War II, to National Service in the RAF, student days, work in general practice and beyond. He was past president of the British and World Small Animal Veterinary Associations and the Central Veterinary Society from 2007-2009. He lectured throughout Europe and the US on his speciality – the portrayal of animals in art. He never married, and leaves no children. This is a reminder for all those Old Bordenians intending to attend this year's Annual Reunion Dinner on 25 March at the UK Paper Leisure Club, Sittingbourne. There are only a few days left to book your place at this event. Full details and how to book are included in the article below (follow this link: Annual Reunion Dinner - full details). There are a couple of groups celebrating major milestones at this year's dinner. They are the class of 1967 starters, who are celebrating 50th anniversary of starting at the school and the class of 1987-1992, who are celebrating their 25th anniversary of leaving the school. I have been given copies of the OBA annual yearbook, The Maroon, from 1951 to 2009 (the last publication) with just four years missing. 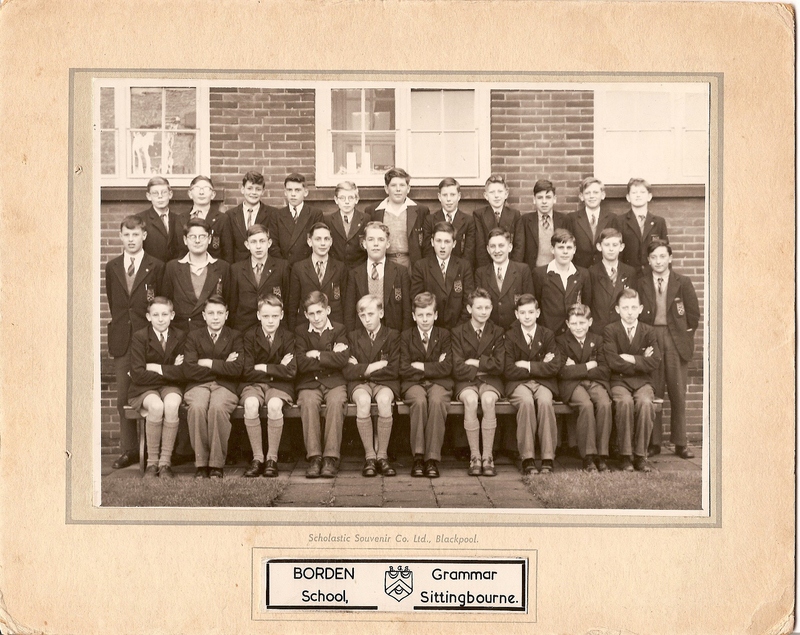 Did you join Borden Grammar School in 1967? Mark Costen has provided two photographs from the 1956/57 era which include his uncle Michael Austin, sadly no longer with us.